Just a light and fun blog—talking about anything and everything… and food! Hi! I’m Tania and welcome to "The Prep Wife"! People who know me know that I really love to cook (and eat!). “The Prep Wife” is a reflection of me. Relatable and honest, I really intend to keep this blog light and fun all the while sharing recipes and talking about anything and everything. Of course it’s exaggerated but it’s more accurate than you may think! 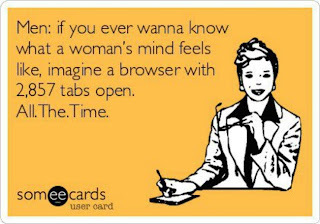 I thought it would be great to have an outlet for the “2,857 open tabs” that are on my mind! Let me explain why “The Prep Wife”. Two years ago, Future Hubby (let’s call him Mr. A) and I got engaged; a year ago, we started living together; a year from now, we will be married! My “happily ever after” is at the tip of my nose! Actually, seeing as we live together, I already feel like I am living in my “happily ever after” and I love it! This past year has been amazing! It sort of feels like it has been a (very fun) training session. 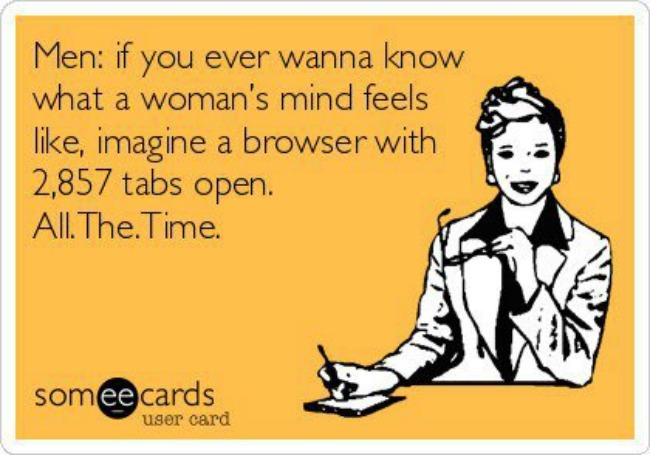 I feel like I have been training and preparing to be the best wife I can be… feels like I’m a “Prep Wife”. I am thriving to do honor to this “Prep Wife” title. In the midst of working, wedding planning, family-time, friends-time, (trying to) stay active and balancing all of life’s little highs and lows, I try to keep Mr. A happy & most importantly well fed! One thing I like more than cooking is feeding! The way to a man’s heart is through his stomach? That’s right! I cooked my way into his heart and that’s where I intend to stay! I remember one of the first times I cooked for Mr. A. It was about 5 years ago. We were still somewhat new as a couple and I was on a mission to impress him! I wasn’t very skilled in the kitchen but I always wanted to try new things. I decided to make him a traditional Lebanese dish (we are Armenian and he grew up in Lebanon) called “Moghrabieh”. Moghrabieh is a chicken dish made with big couscous-like semolina balls (a bit smaller than a chick pea) and deliciously spiced with fragrant ground caraway seeds and seven-spice. I wanted to surprise him after a long day at work by having dinner on the table once he got home. Well… dinner was on the table… and it was also on the floor. 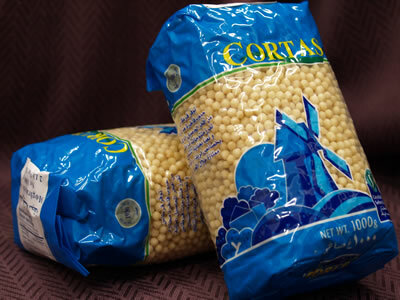 When I was trying to open the bag of those little semolina balls (moghrabieh), I dropped half of them all over the kitchen floor. You can just imagine the mess it made. As the little suckers bounced their way around, I bounced and hopped after them and did my best to clean up. Some of them seemed to have danced their way in the dining room and the entrance hall also. Despite my best efforts, we were finding little dough balls on the floor for weeks. Nevertheless, the dish was very tasty and here is the recipe! · In a large pot, heat oil and add peeled onions. Cook until golden. · Add the water, the chicken, bay leaves, cinnamon sticks, and salt. · Bring to a boil. Lower the heat and simmer, skimming off the foam that forms on the surface of the liquid. · Leave it until the chicken is cooked. · Remove chicken and onions. · Strain and reserve the stock. · In a large pot, put 2 liters of water and bring to a boil. · Add 1 tbsp salt, a little oil and the moghrabieh grains. · Stir from time to time and leave it until the moghrabieh is cooked (about 15 minutes). · In a large casserole, put butter and the moghrabieh. Add the spices (caraway, cumin, Armenian pepper). · Put on a low heat. Add ½ cup of stock and stir delicately. · Continue to add the stock, ½ cup at a time until the moghrabieh has absorbed the liquid and the spices. 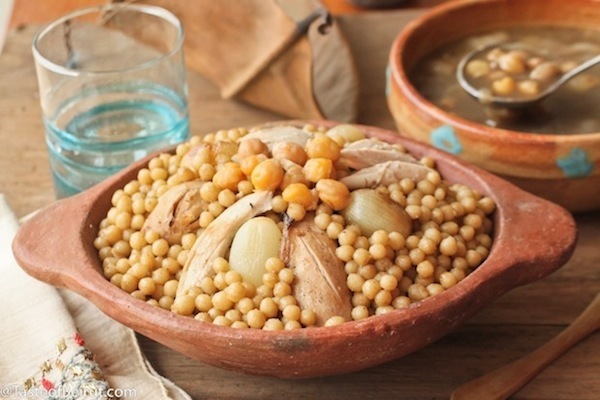 · Add the drained chick peas and onions and stir. · Add salt and pepper to taste. · Put in a pot the rest of the stock. · Add 1tbsp of flour and whisk quickly to prevent lumps. · Add 1 tbsp Armenian pepper, 1 tbsp ground cumin and 2 tbsp ground caraway and stir. · Simmer the sauce until it thickens. Serve the Moghrabieh in a large plate and decorate it with slices of chicken on top. Pour the sauce in a separate large bowl.